If your weed has passed the visual, smell, and tactile tests, please enjoy it. Also, count your lucky stars, because more often than not, weed will go bad. “Has my stash gone bad?” If you are a frequent cannabis user, you’ve probably asked yourself this question. Maybe you came along a stash that you’d forgotten about. Whoops. If this happens, how can you tell if your weed has gone bad? Whether it was purchased at a dispensary over a month ago, or even a year ago (hey, it happens) it’s important to know if your weed has gone bad, especially if you plan on smoking it. There are a few ways to tell if your weed has gone bad. First, examine your weed. Does it look desirable? If it looks like something you’d pass on at a house party, trash it. Sometimes, if cannabis is past its prime, it will mold. Mold is concentrated, and can spread throughout the plant. This is not to be mistaken with the pristine trichomes often on nugs. Break apart your weed to be sure you aren’t going to consume something potentially hazardous to your health. Your weed should smell good. Terpenes give cannabis a flavorful variety of smells. If your weed doesn’t smell amazing, it’s probably gone bad. If it smells old or musty, your weed may be moldy. Lastly, if you don’t store your cannabis correctly, it can take on the smell of its container, which is a red flag to watch out for. Your weed should never smell like anything other than weed. Handling your weed is a great way to decide if it’s gone bad. Does it feel moist? Toss it. Is it falling apart in your hands? Toss it. Is it over-compressed? Toss it. Handling your stash is a great way to decide if it has gone bad. There’s really no better way to decide if your week is smoke-worthy. 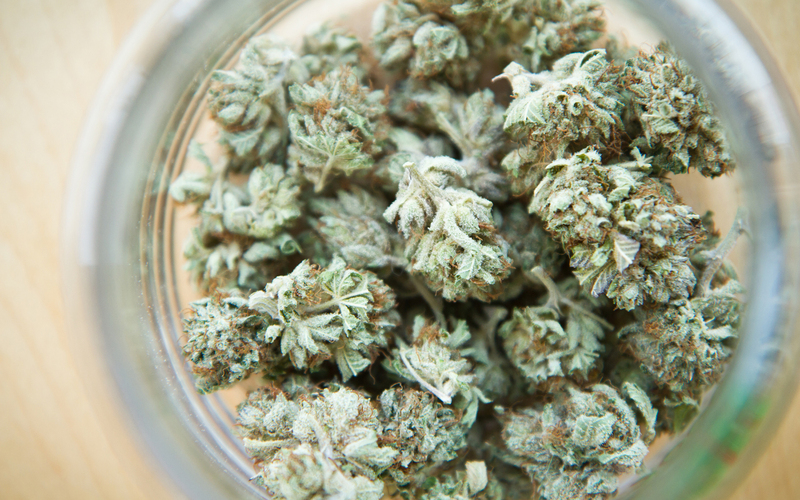 Luckily, you can avoid your weed going bad by simply storing it correctly. You can store your weed in a tight and dry glass container, or turn to one of the many companies that specialize in helping you to keep your weed fresh. It’s important to remember to keep your weed in dry, dark, and cooler environments. Knowing how and where to store your weed is the best way to avoiding this dilemma all-together. If you store your weed right, it won’t go bad. If your weed has passed the visual, smell, and tactile tests, please enjoy it. Also, count your lucky stars, because more often than not, weed will go bad. If your weed has not passed the tests above, it’s time to re-evaluate where and how you are storing your goods. If stored correctly, your weed should last for quite a long time.